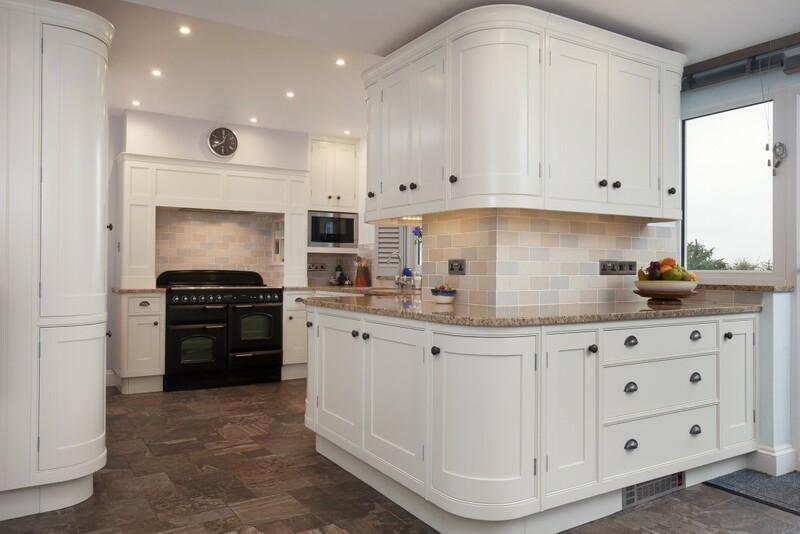 This Marldon kitchen is a great example of modern styling with traditional craftsmanship. 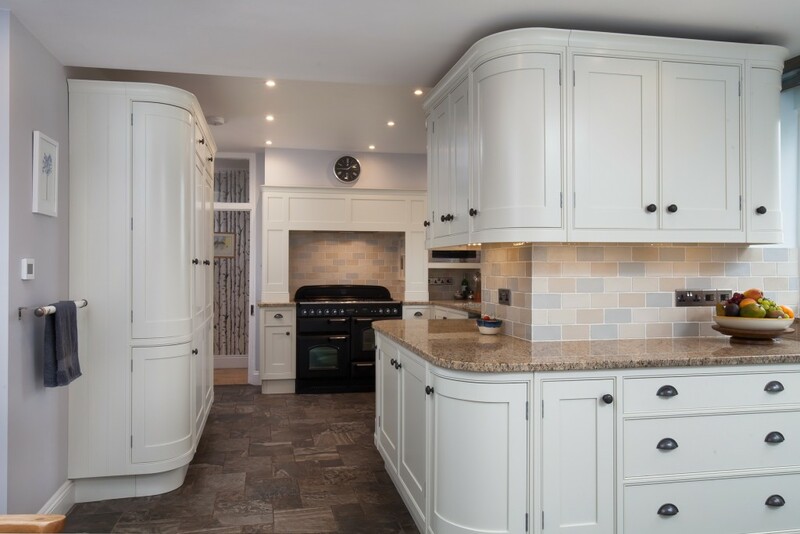 The simple Shaker panelling set in beaded frames offers a timeless look which can easily be personalised with your own choice of colour, worktops and cabinet fittings. 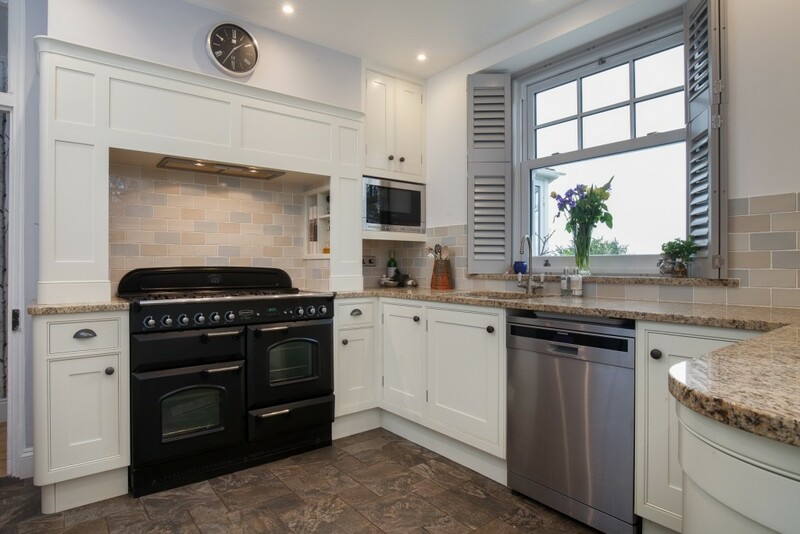 Here we used gunmetal knobs & pulls to coordinate with the subtle grey flecks found in the ‘Topazio’ granite worktops. When designing this kitchen we had to overcome several awkward shapes in the building that had to be given special attention from the outset. We eventually decided to create custom made curved cabinetry to provide lovely flowing lines around every corner within this space. 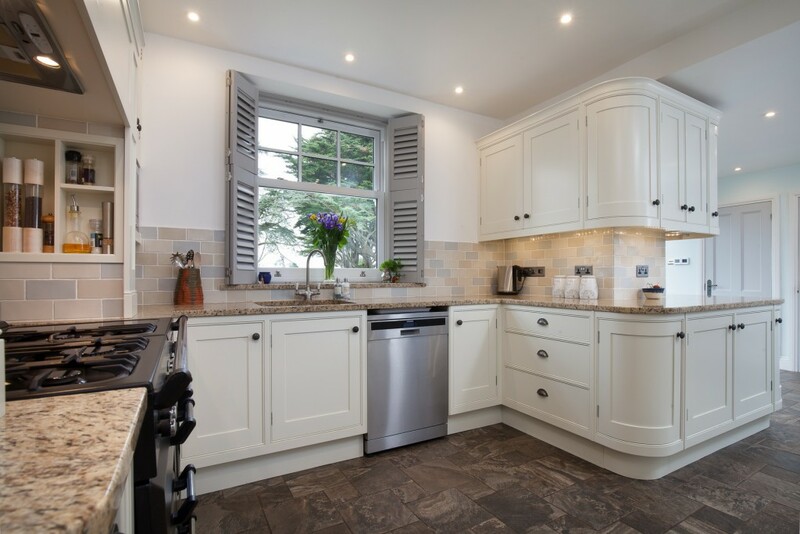 This kitchen could look equally at home in a modern town house as in this cosy rural retreat.